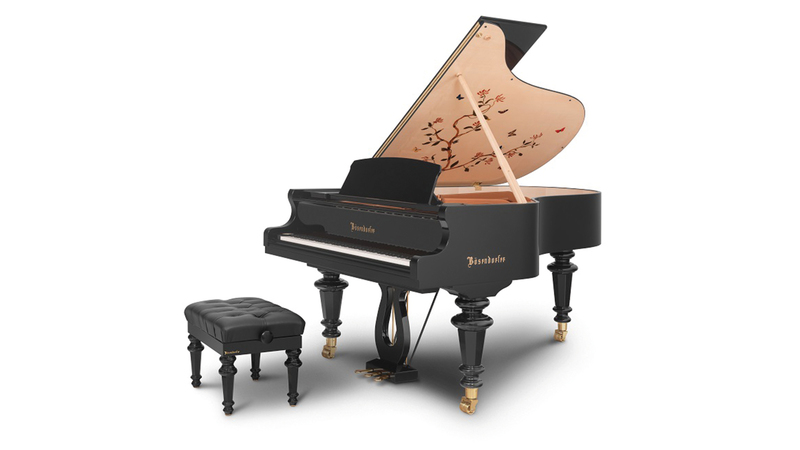 The newest model in Bösendorfer’s Marquetry Series is “Butterfly” featuring a garden scene with butterflies similar to those found at the Schönbrunn Palace. Every detail is hand-cut, stained wood inlaid to create depth and shadow in the mural lid. 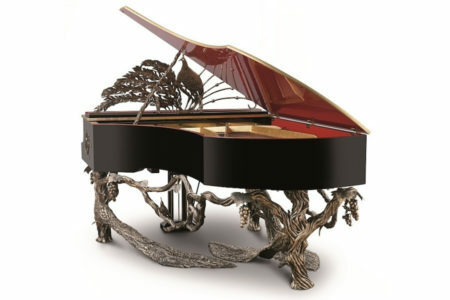 This edition is limited to 9 pianos, each numbered on a brass plate. 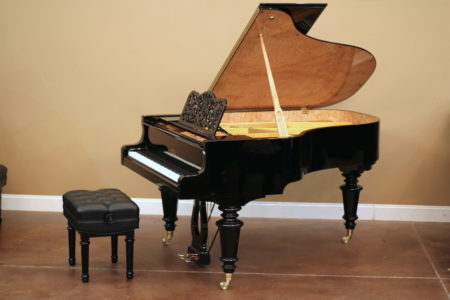 This piano may be ordered in 2 sizes, model 200 or model 214. Contact us today to order this masterpiece for your home. 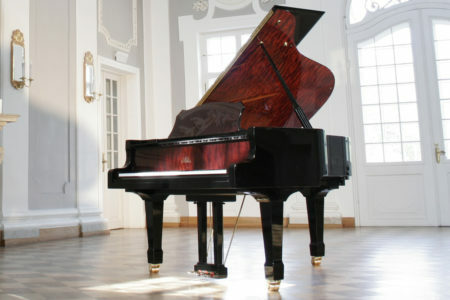 For larger photos and more information, visit www.boesendorfer.com.